Google has issued an update for its Gmail application to ensure it fits beautifully on the iPhone 5's new 4-inch widescreen display. TheVerge reports that iPhone 5 owners will be able to see a couple more emails on-screen, while they will not have to exert as much energy thumb-scrolling to read messages. Every little helps. 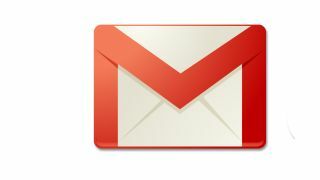 The Gmail update comes after Google released iPhone 5-friendly versions of Chrome and YouTube. The company will also roll out the changes for the popular Sparrow email client, which it acquired in June. At Apple's iPhone 5 launch event, the company made clear that it would be relying on the developer community to update its apps to fit the new screen size. Without these changes apps appear letterboxed on the new device. It seems, despite the ongoing squabbling between the two companies, that Google remains committed to providing the best services possible for Apple's range of iOS devices. The Gmail app for iPhone, iPad and iPod touch is a much different beast than the client which was pulled from the App Store after just one day in November last year.